Carrrrrrne asada! Do you remember that Superbowl ad with the two lions? For months after that aired I couldn’t say “carne” without rolling the rrrrrrs. Clever of whatever ad agency came up with that campaign to feature two king carnivores talking about carne asada, which translates literally as “beef grilled”. Carne asada is the thinly sliced, grilled beef served so often in tacos and burritos. You can also serve it straight up, with rice and beans on the side. Although almost any cut of beef can be butterflied into thin sheets for the carne asada, typically you make it with either flank steak or skirt steak. Flank steak is a lean cut and needs to be cooked rare, and thinly cut across the grain to make it tender. Skirt steak is well marbled with fat, and while it still needs to be cut across the grain, it’s inherently more flavorful and tender, and can be cooked more without suffering. You can make carne asada without a marinade, and just a bit of salt and pepper before grilling, but if you have the time, a good soak in a marinade greatly enhances the flavor. The marinade we are using here has olive oil, soy sauce, lime juice, vinegar, a little sugar for sweetness to balance the acidity of the lime and vinegar, and lots of minced garlic, jalapeño, and cilantro. Perfect for tacos! Serve it up with tortillas, avocados and salsa. Recipe and photos updated, first published 2007. 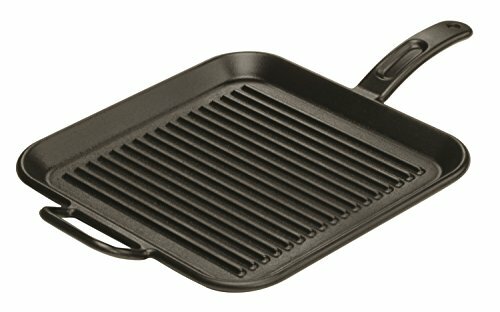 If you don't have a grill you can use a well-seasoned grill pan or a large cast iron pan on the stove-top. Heat on high to sear and then lower the heat to finish cooking. Make sure to use your stove vent, searing the steak this way can smoke up the kitchen! If you want, before adding the steak to the marinade, reserve a couple tablespoons of the marinade to drizzle over the finished carne asada to serve. 1 Marinate the steak: Whisk to combine the olive oil, soy sauce, lime juice, vinegar, sugar, black pepper, and cumin in a large, non-reactive bowl or baking dish. Stir in the minced garlic, jalapeño, and cilantro. Cover in plastic wrap and refrigerate for 1-4 hours or overnight (if using flank steak marinate at least 3 hours). 2 Preheat grill: Preheat your grill for high direct heat, with part of the grill reserved with fewer coals (or gas flame) for low, indirect heat. You'll know the grill is hot enough when you can hold your hand above the grill grates for no more than one second. 3 Sear steak on hot side of grill: Remove the steak from the marinade. Lightly brush off most of the bits of cilantro and garlic (do not brush off the oil). Place on the hot side of the grill. Grill the steak for a few minutes only, until well seared on one side (the browning and the searing makes for great flavor), then turn the steak over and sear on the other side. 4 Move steak to cool side of grill: Once both sides are well seared, move the steak to the cool side of the grill, with any thicker end of the steak nearer to the hot side of the grill. Test with a meat thermometer into the thickest part of the steak, or use your fingers (see The Finger Test to Check the Doneness of Meat). Pull the meat off the grill at 115°F to 120°F for rare, 125°F medium rare, 140°F for medium. The meat will continue to cook in its residual heat. Note that lean flank steak is best cooked rare, while skirt steak can be cooked well without losing moisture or flavor because it has more fat marbling. 5 Tent with foil and let rest: Place the steak on a cutting board, tent with foil and let rest for 10 minutes. 6 Slice steak across the grain of the meat: Use a sharp, long bladed knife (a bread knife works great for slicing meat) to cut the meat. Notice the direction of the grain of the meat and cut perpendicular to the grain. Angle your knife so that your slices are wide and thin. 7 (Optional) Serve with grill toasted tortillas: Warm the tortillas (corn or flour) for 30 seconds on each side in a dry skillet or on the grill, until toasty and pliable. Alternatively, you can warm tortillas in a microwave: heating just one or two at a time, place tortillas on a paper towel and microwave them for 15 to 20 seconds each on high. (Optional) Serve with pico de gallo (fresh tomato salsa) and chopped avocados. Hello! All photos and content are copyright protected. Please do not use our photos without prior written permission. If you wish to republish this recipe, please rewrite the recipe in your own unique words and link back to Carne Asada on Simply Recipes. Thank you! I tried Carne Asada for the first time many years ago at a Mexican restaurant in Florida. That was the only thing I ever ordered there because it was just that good. Never have forgotten that flavor, nor have I found any to rival it since. Until now. I made this a few nights ago using a cast iron grill pan (which I ordered specifically to make this ). It was the delicious flavor I remember from so long ago, and now I can make it whenever I want! I followed the recipe exactly, using skirt steak, and wouldn’t change a thing. Thank you so much for this fabulous recipe! Really, really, really good!!!! Don’t change a thing! Best recipe for Carne Asada I’ve tried so far!! Best recipe we’ve found for carne asada! You won’t be disappointed. Makes my mouth water just thinking about it. Yum!!! Wow! Spot on. Great, easy recipe. My local meat shop didn’t have flank steak left so I used one skirt steak and sirloin tips… a little more expensive but soooo good! I’ve never commented on anything, but I had to give a compliment. This is by far the best steak I’ve ever had. I made it for a bbq at my boyfriends family’s house – meeting the entire family for the first time. They were super impressed and so was I, as I was eating it for the first time myself- lol I tried so hard to hide the astonishment from my face. The flavor was out of this world. I travel for food. I love food from different cultures and I’ve traveled to many different countries and continents and the BEST STEAK I’ve EVER had came off the grill of my boyfriend’s family’s place, marinated and prepared by me… ALL thanks to your post. Thanks a million for sharing!!! I’m so glad you liked it Gaby! Just used this recipe. It was my first time doing a recipe with this much stuff in it. I don’t cook much and won’t do anything if i think it’s to complicated. I took a chance and did this. I used 3.7lbs of flank steak, doubled the recipe, and let it marinade overnight. It was a huge hit at our bbq. Everyone loved it. I will definitely use this again. Hi Elaine, are you thinking of a tomatillo salsa verde? Tomatillos look like little green tomatoes with a husk. We have a recipe for this salsa here: https://www.simplyrecipes.com/recipes/tomatillo_salsa_verde/ It would be delicious with the carne asada. This marinade recipe is WONDERFUL! We made a double batch & half of it marinated skirt steak, chicken thighs & mahi mahi (had company over with mixed palates), other half reserved for serving & it was a hit. It will be my go to sauce/marinade all season. I used slightly less soy sauce than called for but otherwise followed the recipe exactly. Thank you! This recipe did not disappoint! Made 5 lbs. of this for Fathers Day, and everyone loved It. I obviously adjusted the portions to accommodate the additional servings, and it came out great! We loved it without the OJ… delicious. The soy sauce has enough salt so we didn’t add the additional salt. Marinated it overnight. Such an easy recipe to follow with an amazing flavor. Obviously, everyone has their own taste and opinion about soy sauce, but soy sauce has deep roots in Mexican cooking whether it sounds natural or not, just as the MiddleEastern/Asian spice cumin does. Mexican Cuisine has been greatly influenced for the last 2-3 hundred years by Asian Ingredients and it has been found to of actually originated or derived from African, Asian, European Cuisine and now has a North American flair. Delicious food comes from playing with and adjusting recipes to your liking. Everything has room for improvement. Great flavor, but the soy sauce was a bit much. Almost an Asian-Mexican fusion, per my daughter. Next time I will go with more traditional flavors and add some chipotle seasoning and more lime juice. thanks for the cooking tips. I like the old recipe better… Don’t fix something of it isn’t broke. I use half a cup of olive oil, omit the soy sauce (too salty), I use 3 cloves of garlic, white vinegar, and one tablespoon of sugar. I use small flour tortillas, picco, avacado and some times just a little bit of sour cream to change the flavor. At first, I questioned soy sauce in a Mexican recipe. Now, I get it! We loved the marinade… so full of flavor! Thank you for the recipe. It’s a keeper. Since you have the grill fired up anyway, throw some big green onions on there and enjoy with the carne asada inside a corn tortilla. So good!